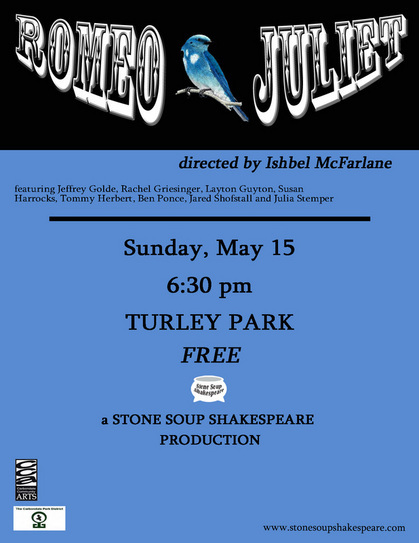 In light of the current Southern Illinois cool front, Stone Soup Shakespeare is working to add a little extra heat to their outdoor Turley Park production of Romeo and Juliet. 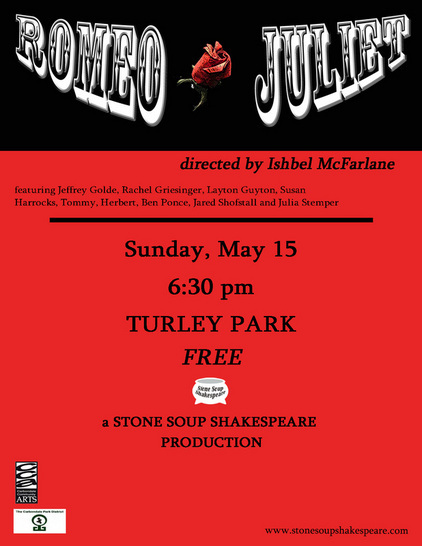 Please join us at the Turley Park pavilion where we will have outdoor heat lamps to warm the audience. We encourage all community members to bundle up and bring an extra blanket along with a thermos of warm soup and/or hot chocolate to enjoy this Free performance. Shakespeare would be proud!